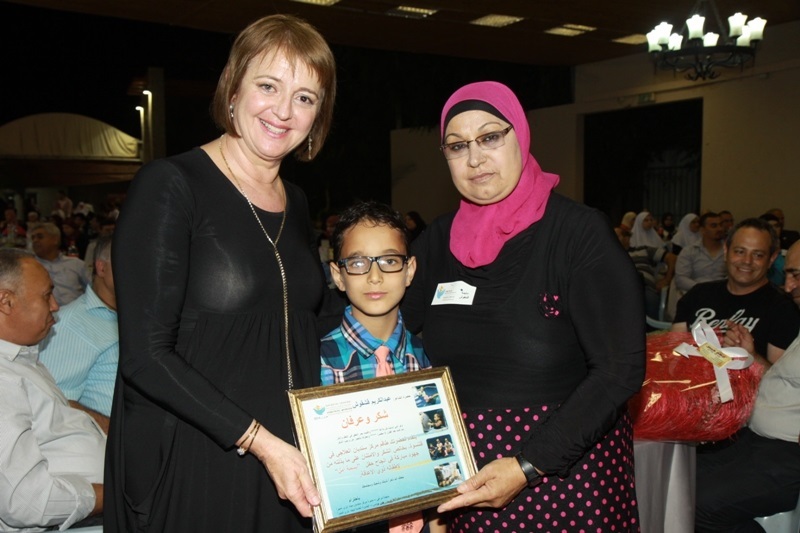 The Israeli Arab city of Kalansua in central Israel last week held a fundraising event called "A Smile of Hope" for leading Israeli disabilities organization, Beit Issie Shapiro and their Sindian Center, which serves the Kalansua community and Arabs from across the Southern Triangle. The event is believed to be the largest fundraiser of its kind in an Arab community for an established Israeli charity, with 700 people in attendance and 300,000 NIS raised ($87,000). Organizer Nawaf Zmiro is a lifelong campaigner for disabilities in the Arab community and recipient of the President's Prize for Volunteering. "As someone with a disability myself, I have a great appreciation for Beit Issie Shapiro," says Nawaf. "Together, we do such good work for the population with disabilities in the Southern Triangle. The social change needed is already being felt in a very impressive way because we have been working for so long and so hard on inclusion. Beit Issie Shapiro has helped me realize my ambitions, and to show my abilities for people with disabilities," explains Nawaf. Photo: Courtesy / Description: Nawaf and his team of volunteers who organized the fundraiser for Israel's Beit Issie Shapiro. "This event is testimony to how the community is committed to helping people with disabilities," says Jean Judes, Executive Director of Beit Issie Shapiro. "I remember when we first started working in Kalansua, there was great stigma towards the people with disabilities. Today the situation is reversed." The event was hosted by the well-known Arab news and sports reporter Zohir Baalul, with speakers including Beit Issie Shapiro's Executive Director Jean Judes and Advisor on Arab Affairs to the Minister of Education, Mr. Nasser Abu Safia. Mayor of Kalansua Mr. Albassat Slama, and Dr Zeid Abou Moch, Head of the Islamic Department of the Interior Ministry attended the event, as did Member of Knesset Ahmad Tibi, leader of the Arab Movement for Change (Ta'al) party. "It was moving and emotional to see everyone working together as partners towards a joint mission, as well as the commitment to ensuring the financial sustainability of this important community service," says Judes. "We felt that, in addition to raising funds, we were creating an unprecedented cross-cultural dialogue between Jews and Arabs and between people with disabilities and without," says Nawaf. "We all have a common goal and want our children to be healthy and happy. Through a language understood by all, Jews and Arabs united under the common banner of giving. My heart was overwhelmed throughout the evening." Photo: Courtesy / Description: Beit Issie Shapiro's Executive Director, Jean Judes at the fundraising event. The Beit Issie Shapiro Sindian Center in Kalansua is a model in the Arab community. 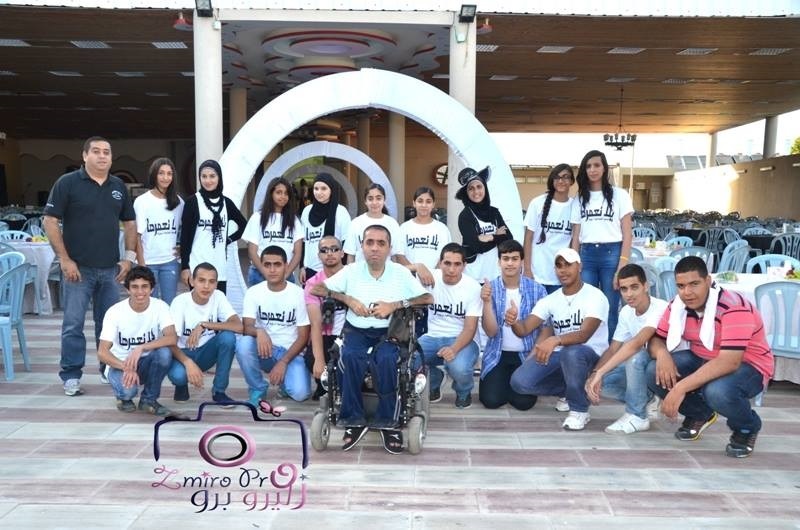 It was the first disability organization of its kind in Arab society to care for the entire family as well as children with disabilities. Beit Issie Shapiro provides workshops for the families of children with disabilities, mainstreaming children with disabilities into local schools, and providing workshops for local Imams and community leaders. Beit Issie Shapiro facilitates cooperation between Jewish and Arab professionals, including those within the Palestinian Authority, in order to ensure that each child receives the best therapy suited to them. Based in Ra'anana, Beit Issie Shapiro is a nonprofit innovator of therapies for children and adults with disabilities across Israel and globally. It serves 30,000 people in Israel annually. In 2012, Beit Issie Shapiro became the first Israeli disabilities charity to have been awarded the Special Consultative Status to the UN's Economic and Social Council in 2012.